I doubt any of y'all will know of half of these fighter jets.. so Lol. 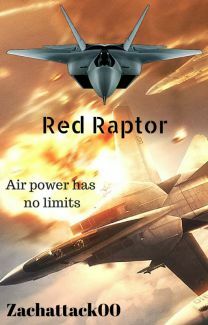 The Pak FA T-50 is currently a Russian experimental jet with potential to over throw the F-22 (Finally, after its 13 years of production, and 30 years since planing started, the Raptor is ajet from the future) But this is a little something i was working on a while back, on Wattpad so i thought i'd bring out an unfinished first chapter. Anyways, this takes place n 2018, during WWIII and all that good stuff. ITs pretty cheesy right now and is in severe need of editing, but that will come soon. The PAK FA T-50 zoomed past Echo Squadron, a squadron of F/A-22 Raptors. Ten thousand feet above sea level, above Washington DC, the capital of the United States of America stood in ruins, burning. Ian Marshall, Echo Leader, piloted his F/A-22, barley managing to evade the T-50. He already lost Echo four, Hank Moran, to the T-50, and was not prepared to lose any more men in his squadron. SAM missiles could not find a lock on the T-50's. They were too fast. Too maneuverable. And very stealthy. The Raptor could not pick it up on radar. Echo Squadron had to rely only on sight. The F/A-22 Used to be the worlds most advanced fighter jet. Everyone feared it. But now, the tides have changed. With a large explostion, Ian watched as Echo two burst into flames. Ian raised the nose of the F/A-22 90 degrees, the vectored afterburners making the F/A-22 even more maneuverable than most Fighter Jets. Eleven thousand feet. twelve thousand feet. thirteen thousand feet. Fourteen. At fifteen thousand feet, Ian took the Raptor into a nose dive. right in his sights, the T-50 climbed towards him. Ian couldn't get a lock on it. Missiles were useless. Ian switched to guns, and fired. The T-50 took a few hits to the wings, but nothing critical. It spun out of the way, and Ian shot down towards the ground. He pulled up, g's pulling him down. He fought to keep Conscious, and not to black out, knowing that the F/A-22 could easily pull more g's than a human could possibly handle. The T-50 that he had just shot at, came around, and fired a missile at Ian. Time seemed to slow as the missile flew towards him. He was prepared to accept death, as the missile hit. The F/A-22 shook, but nothing else happened. Ian looked around. His F/A-22 took no damage. He tried the controls, only to find they were useless. An EMP missile was launched at him. All electronic functions were disabled. What good does that do? Ian thought to himself. He watched as the T-50's picked off the rest of his squadron one by one, leaving him to watch in terror. They seemed to have know he was Echo leader, and forced him to watch as his squadron was killed. Not a single Raptor was left in the air besides Ian's. Two T-50's came in behind him, and locked missiles on him. And fired. Two sidewinder missiles were launched at him, and his F/A-22 blew up in a great ball of fire. Ian awoke, breathing deeply, the sheets of his bed damp with sweat. He looked at his alarm clock, which read 2:00 AM. Letting out a sigh of relief, he realized it had all been a dream. He sat up, and ran his fingers through his short, military cut, brown hair. Ian was a very fearless man. He joined the Air Force to fight for his country. Advancing through the academy at incredible speed, Ian became a F/A-22 Raptor pilot, and proved he was worthy of being so. Ever since 2003, the F/A-22 was the worlds most advanced Fighter Jet. Until recently, word has come out that Russia has built a new fighter jet. One more powerful than two F/A-22's working together, as one mind. It has become every F/A-22 pilots fear to encounter one.